January 31 is the annual deadline for customers submitting their Self Assessment (SA) details, so one of the busiest days in our year. 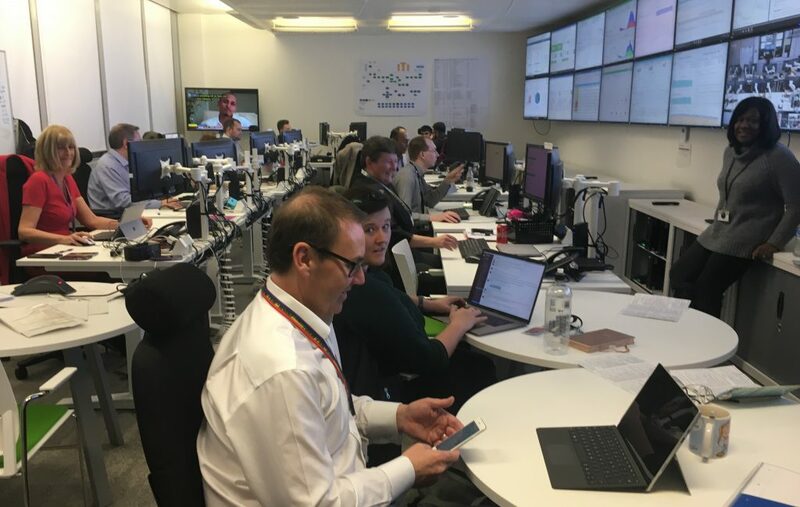 This is the second year HMRC has managed the whole process including Mission Control, rather than as in previous years by our IT suppliers, and this is the first year we ran Mission Control from our Newcastle location. I’m Cheryl Hartley, Head of Service Management and SA Peak Key Business Event, and it was my responsibility to oversee the peak from a live service perspective. Given the importance of SA in providing a first class service to our customers and collecting revenue for the country, we manage it with the rigour you would expect. This means teams across HMRC come together to deliver all aspects of the services needed to support our customers and with our increased move towards digital transactions. We made sure our systems were sized and tested to be able to cope with the increased traffic and still remain stable throughout the event. This is the first year our Digital Platform has been hosted through a new web service and this has worked well, with no platform stability issues encountered. The move has also led to greater flexibility and increased levels of confidence. The work to support SA peak meant 9 months of planning, 3 months of enhanced governance and the final 3 weeks with Mission Control working 24/7 at the helm. Here, teams monitored their allocation of 30+ systems on 20 big screens. Each screen had multiple rotational tabs so even more screens could be viewed at any one time. telephony and webchat platform user performance. As well as the people monitoring the screens in Mission Control, we have multiple dedicated tech rooms across the country where teams monitored their services in more detail. All the tech rooms were continually connected back to Mission Control via an open line. Through twice daily calls to confirm the status of each service, discuss any changes planned for the day and share updates on any incidents that were running, we issued regular reports to key internal stakeholders. 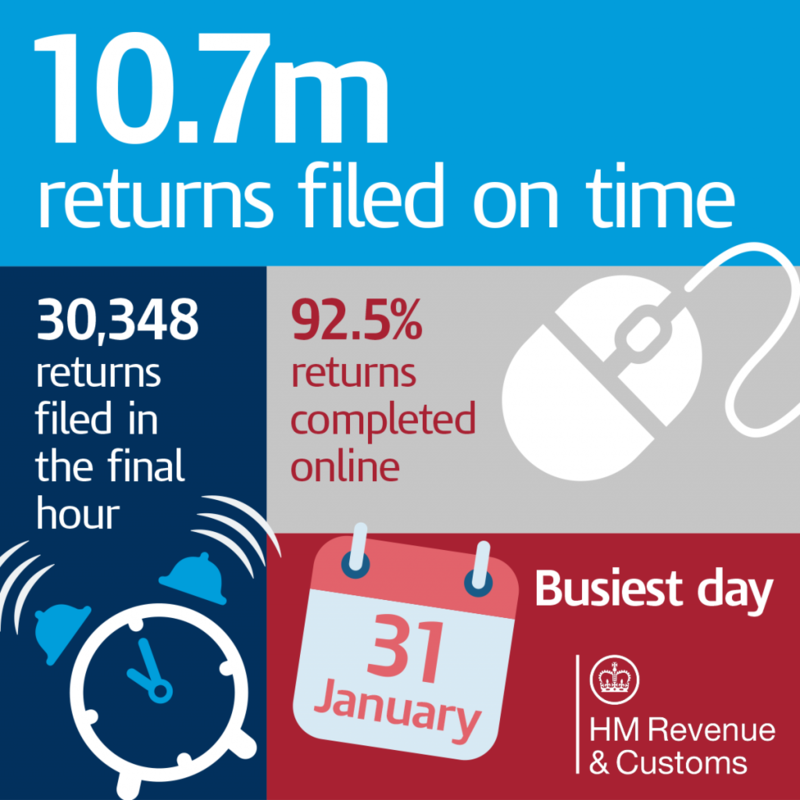 It was HMRC’s biggest digital event so far with a record 9,916,430 returns filed online. That’s a truly staggering amount, 92.5% of all returns and a 0.4% increase on last year. On the final day alone, we processed 758,707 online submissions. Putting that into perspective, during the busiest hour, 4pm to 5pm, our systems processed 60,596 submissions - that’s 1,010 per minute, 17 every second and we took over 389,000 payments. It went fantastically well though inevitably with an event on this scale there were a small number of incidents managed through Mission Control where interventions were made to keep everything running smoothly. The collaboration of both HMRC live service and suppliers was superb throughout and showed a real enthusiasm to deliver a successful event for our customers. As always it’s hard work, but provides a real sense of achievement for everyone involved too. I was one of your 9,916,430 and everything went really smoothly for me. Many thanks.